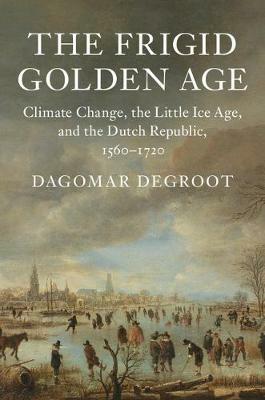 Dagomar Degroot offers the first detailed analysis of how a society thrived amid the Little Ice Age, a period of climatic cooling that reached its chilliest point between the sixteenth and eighteenth centuries. The precocious economy, unusual environment, and dynamic intellectual culture of the Dutch Republic in its seventeenth-century Golden Age allowed it to thrive as neighboring societies unraveled in the face of extremes in temperature and precipitation. By tracing the occasionally counterintuitive manifestations of climate change from global to local scales, Degroot finds that the Little Ice Age presented not only challenges for Dutch citizens but also opportunities that they aggressively exploited in conducting commerce, waging war, and creating culture. The overall success of their Republic in coping with climate change offers lessons that we would be wise to heed today, as we confront the growing crisis of global warming.